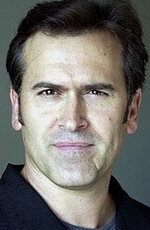 Cult favorite Bruce Campbell played Ash in Sam Raimi's Evil Dead series. He also starred on as T.V. 's Brisco County. Other notable roles include Spider-Man and Bubba Ho Tep.